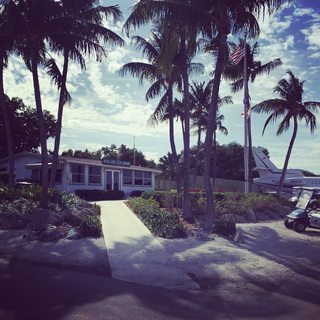 The Ocean Reef Club is a beautiful place in north Key Largo, Florida, located about forty miles south of Miami. Now you have easy access wih our Cirrus SR22 Charter Plane to the “Reef” from any city in the Southeast USA. Imagine flying direct from Jacksonville Beach, Myrtle Beach, Sarasota, Tampa, or Naples to the Ocean Reef Club. Or, if you're already at Ocean Reef, you can fly direct to almost anywhere including Hilton Head, Pensacola, Destin, Orlando, Gainesville, and many others. It’s easy with our Miami based air charter service. Our three passenger Cirrus SR22 airplane is modern, economical, and comfortable. Perfect for getting you in and out of the Ocean Reef Club whenever it's convenient for you. Spend more time with your family and friends and less time getting there. Our aircraft charter service brings the Ocean Reef club within easy reach. If you're arriving on the airlines, we can pick you up at Miami International (MIA), Ft. Lauderdale (FLL), Orlando (MCO), or West Palm Beach (PBI), and fly you direct to the Ocean Reef Club. We also arrange your ground transfer from the airline terminal to our plane. We do this often for members. Our air charter service is first class. A modern plane, experienced pilot, and vast knowledge of Florida and it’s airports. Plus, you can book your flight using our flight booking app. anytime. Go to AviatorServices.com on your phone, computer, or iPad to book. It’s easy. Give us a try, I think you'll love it. See you at the “Reef”.